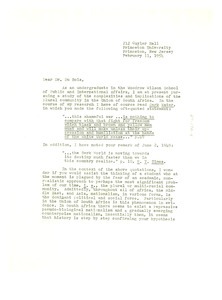 Princeton (N.J.) - Bennett is a student studying the multi-racial community in the Union of South Africa; asks Du Bois for his advice. 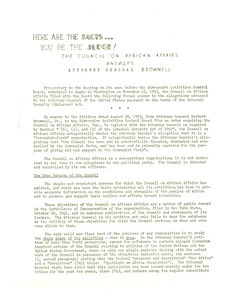 New York (N.Y.) - Written in response to the attack on the Council on African Affairs by Attorney General Herbert Brownell; clarifies the purpose of the council and its concerns regarding the peoples of Africa; lists examples of the council's service; provides testimonials to refute the false charges; takes a strong stance against the McCarran Law. 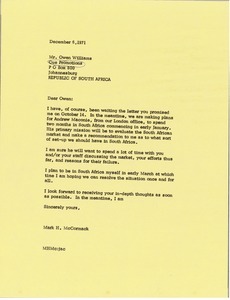 Cape Town (South Africa) - Writing from South Africa concerning Montessori Schools and the Esperanto language. 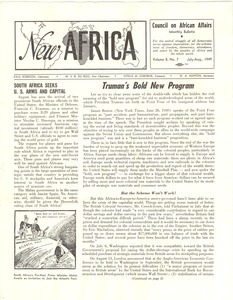 Refers to Du Bois's contribution to the "African World Annual". 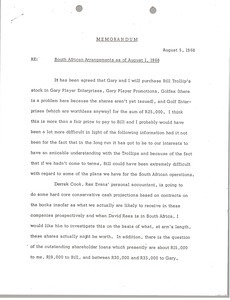 Discusses differences in work methodology between Europeans and Africans. 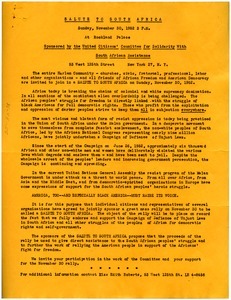 8 Million Demand Freedom! 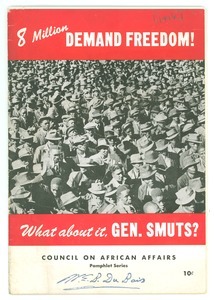 What about it, Gen. Smuts? 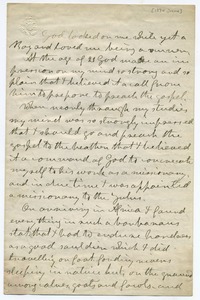 Springfield (Mass.) 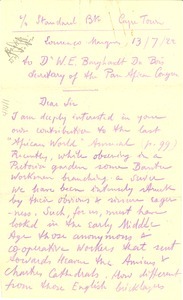 - Brief sketch of Grout's decision to become a missionary, arrival in Africa, and arrival of old age. 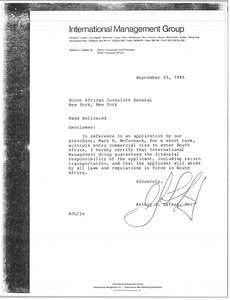 New York (N.Y.) - Calling the whole Harlem Community, and all "friends of African Freedom and American Democracy" to a November 30 salute to South Africa and describing some details of the event.